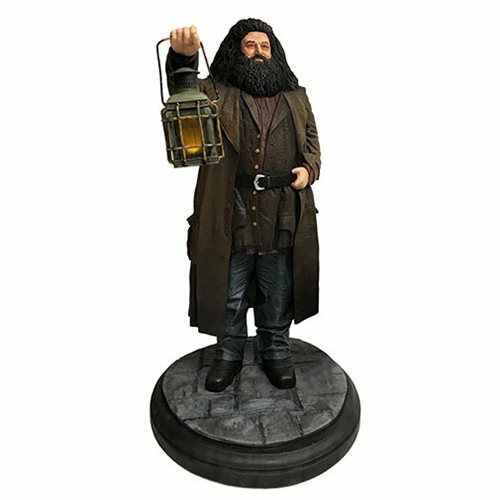 Rubeus Hagrid, the half-giant Hogwarts gamekeeper loves all creatures and is a tirelessly loyal friend to Harry and Dumbledore. 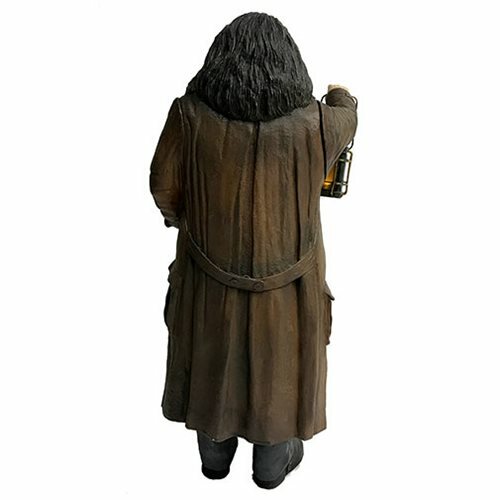 A stalwart feature of the Harry Potter Cinematic Universe, this statue captures Hagrid's likeness from the first film Harry Potter And The Sorcerer's Stone. 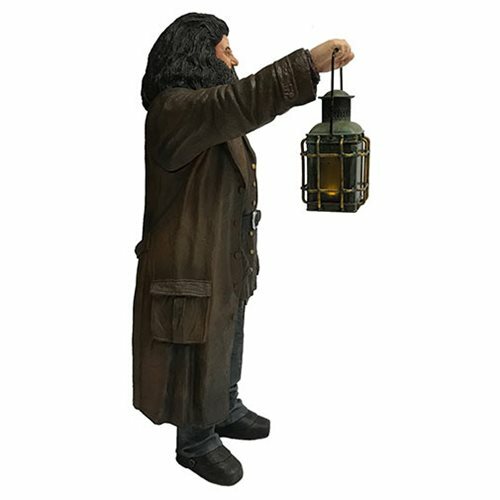 He is posed with his lantern held aloft to guide the way in the dark of night. 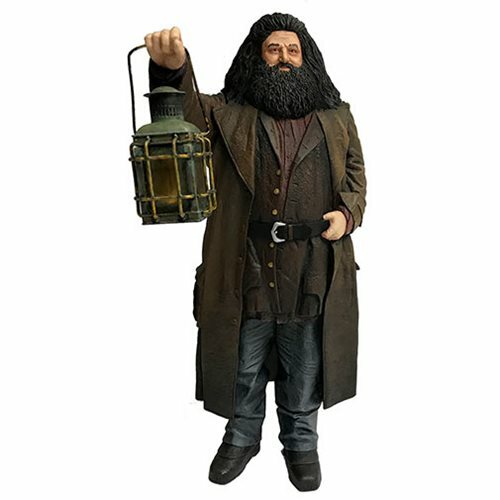 The lantern features a flickering effect LED bulb. 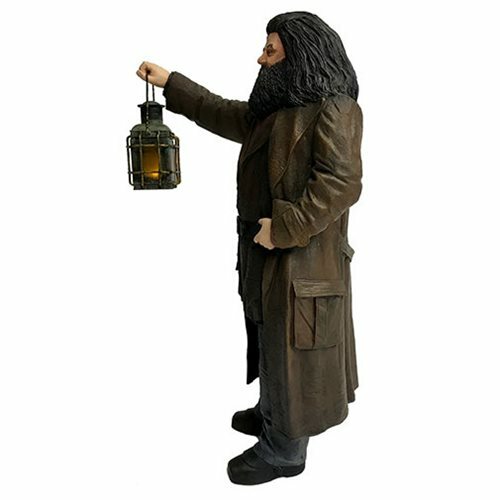 The Harry Potter Hagrid Premium Motion Statue features Hagrid standing on a flagstone effect base. Requires 2x "LR44" batteries, not included. Measures about 10-inches tall.